Living outdoors in Louisiana can occur almost all year round. Contrary to popular belief that the heat and humidity is unbearable, with environmentally astute solutions, the outdoors can be enjoyed more often than less. The Greene Pool House deals directly with this negotiation. The project site is the undefined area between a house and a pool in a planned development. Although the house and pool were designed, they were designed independently from each other, and the new project is to negotiate the residual space between. The programs for this negotiation includes a wet bathroom, bar, outdoor kitchen and living room, dining area, and landscape. The negotiation also must act as a safety boundary between the community golf course and the pool and the client’s children and the pool. The resolution for this project becomes a highly adaptable screen. This screen, made almost entirely from Spanish cedar shutters, sometimes is the gate, the fence, the room, the door, or even the wall. It can be partially open, fully open, fully closed, and locked. It can be transparent and it can be opaque. 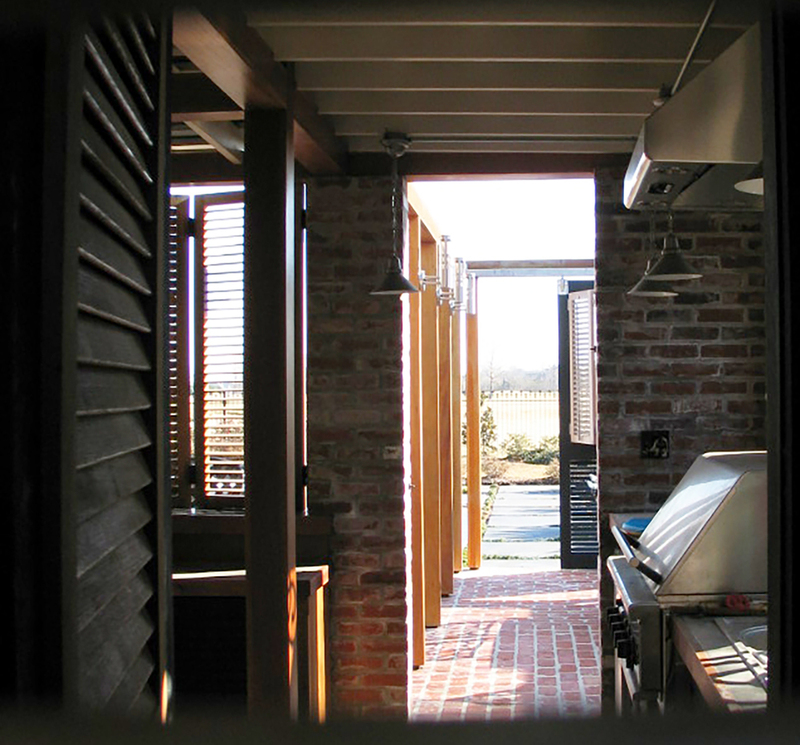 The shutter screen defines all parts of the new program, adapting for each, while retaining a consistency amongst all the parts and the existing site. 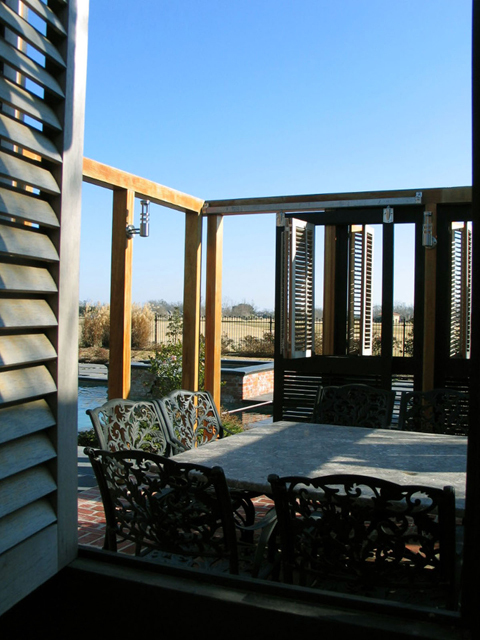 Simultaneously, as the shutter screen resolves the myriad of programmatic and site issues, it acts as a negotiation tool with the exterior environment, creating an outdoor living environment where the clients’ can truly live.